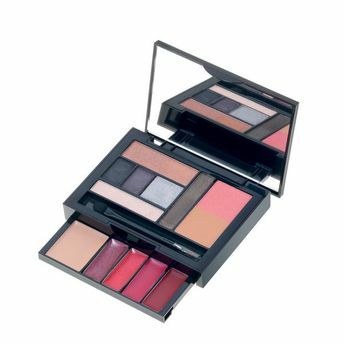 Symphony Make Up Kit 2017 Mini by Deborah Milano contains a plethora of products to take care of all your makeup needs. Don't go by its size, this palette includes everything from foundation and blush to eye makeup and lip colors. This mini size effortlessly fits into any bag, so you always have your best look on, even while traveling. Additional Information: Italy's leading make- up brand, Deborah Milano embodies Italian excellence since 1962. For over 50 years Deborah Milano has been making beauty an affordable and accessible pleasure for all women. Combining a flair for color, latest trends and a focus on quality certified by the Deborah Group's own research laboratories, the brand's eye catching designs, attention to detail and unmistakably Italian flavor have become its hallmarks.